Last month I got to met Jessica of Life As Mom and Good Cheap Eats. Life As Mom was one of the first blogs that I read regularly, so in many ways I felt like I already knew her. When we met in real life, we really connected. We have so much in common, including our love of food and cooking. We could spend hours just talking about different cooking ideas. Jessica is doing a series about building a frugal pantry and this week the subject is eggs. Breakfast for dinner is always an easy and frugal meal. So, today I did a guest post for her sharing one of my family’s favorite recipes that I make when we have breakfast for dinner. 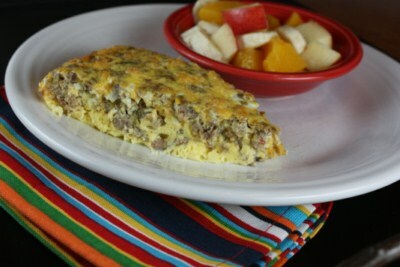 If you are looking for a new breakfast or breakfast for dinner idea you should check it out. I love breakfast for dinner! In fact, my kids would never decline an eggy meal at the end of the day;). It isn’t that it feels like it is breaking the rules… is it? Maybe a little?